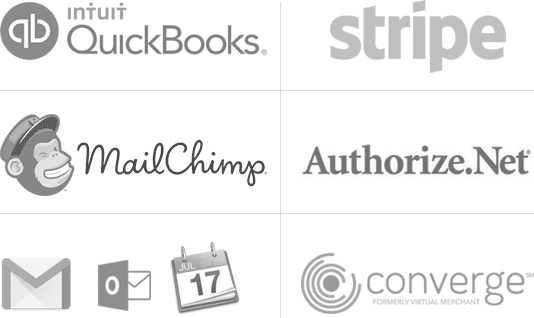 Create your own custom phone system in seconds. 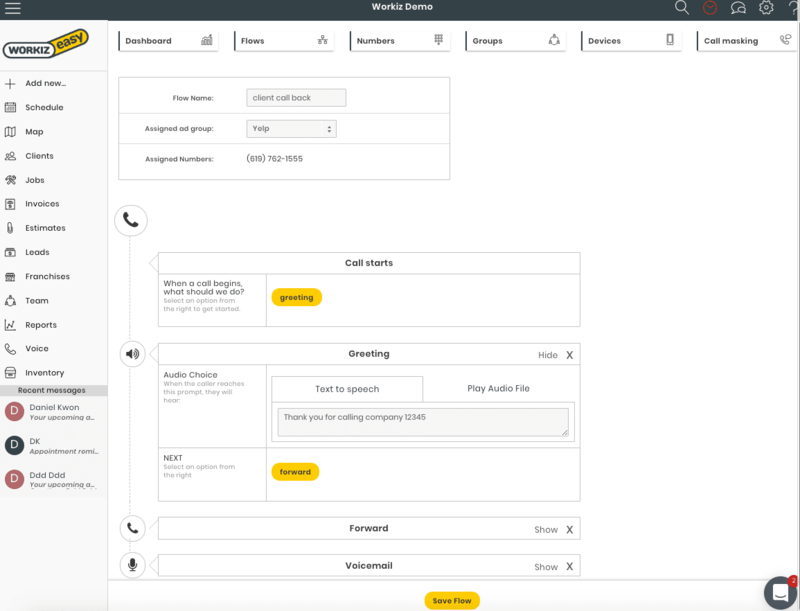 Route every call to the right person with interactive call flows. 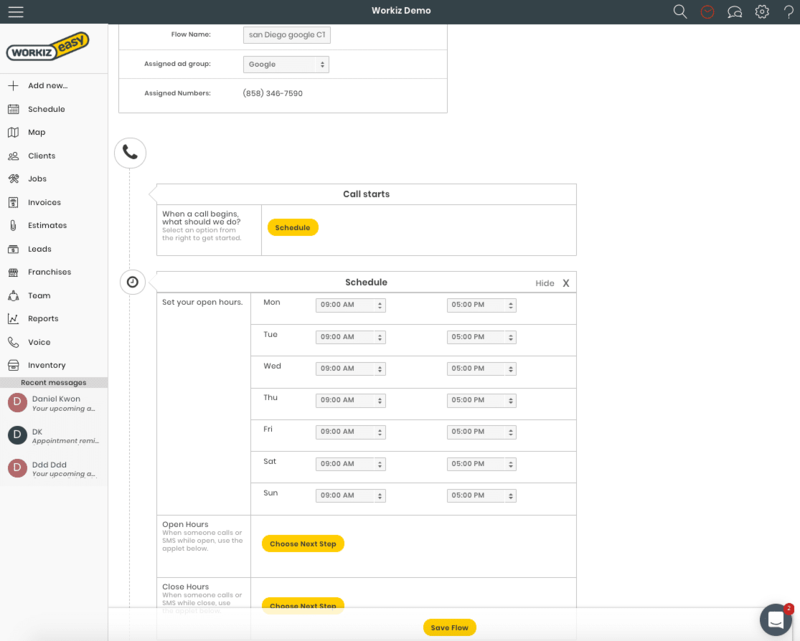 Workiz Voice lets you setup custom call routes called “Call flows.” Our call flow builder allows you to manage the stages of the call. 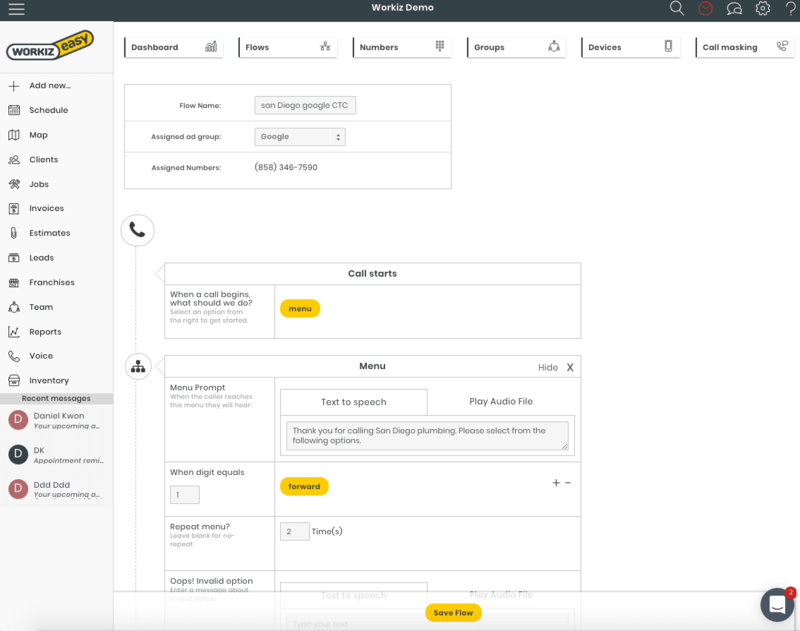 Call flows allow you to create greetings, whisper messages, interactive menus and more. 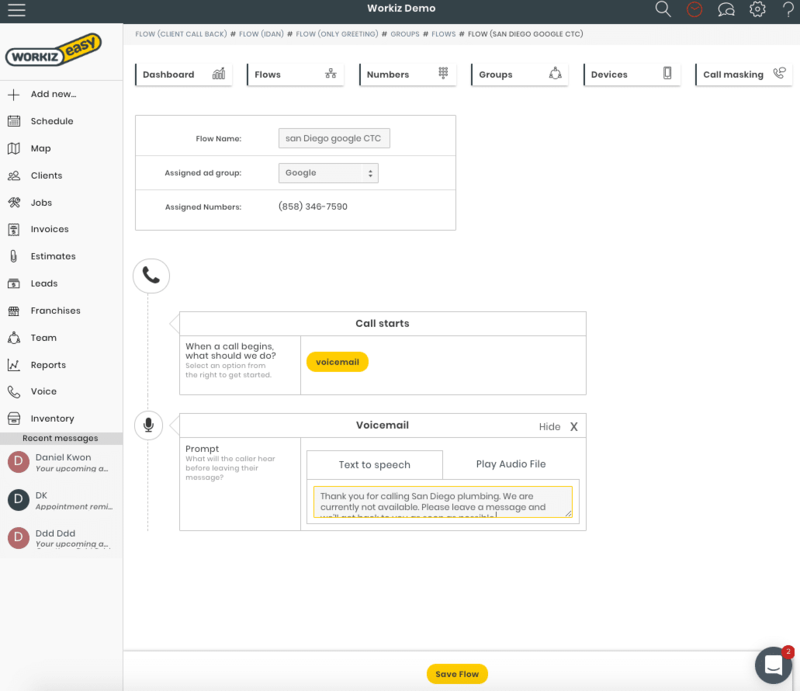 Create an interactive menu and route callers to the right department. You can also easily set up menu prompts, creating call routing for every digit pressed. 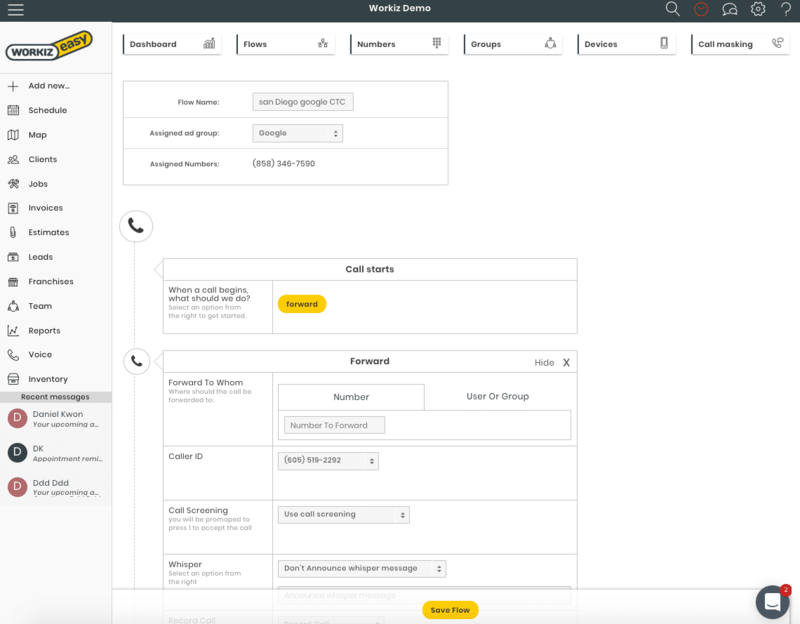 Set up a schedule for your call flows. You can define your businesses hours of operation and direct calls to voicemail or an answering service at the right time. 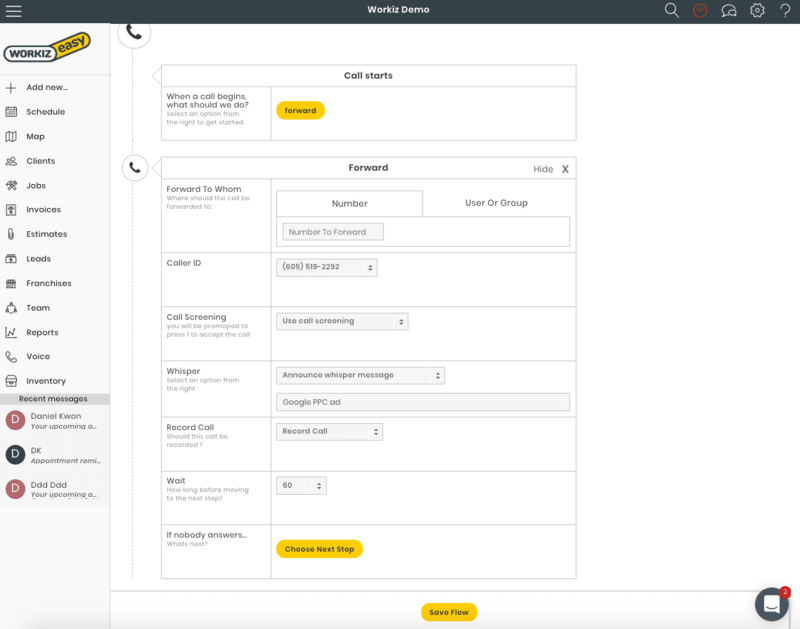 With the forwarding widget, you set your routing options including: where the call should be forwarded to and how long until it proceeds to the next step. Call Whisper allows you to understand where every call came from as soon as you take the call. Set up a voicemail for yourself or any user in your account.